In today’s ‘Attention Economy’ marketers seeking the answer to one major question – How to connect with the consumers and hold their attention? With the intense competition amongst businesses to grab the attention of the consumer, it has now become one of the scarcest resource. Every marketer agrees of quality content being the key to this conundrum. Regularly investing in making high-quality new content and encashing upon the creative capability lets businesses make profits. However, if the content doesn’t reach the right audience at the right time, all efforts might be wasted. Well, programmatic advertising, with its advanced techniques, is what helps in targeting the right audiences. While many marketers believe in traditional advertising methods of mass targeting through television, print and radio, it can’t contend with the power of individual targeting. This attitude of marketers undermines the efficiency of programmatic advertising. It is not just about getting clicks and views at cheaper rates. Programmatic Advertising with its niche targeting capabilities allows brands to come up with the right targeting combinations to reach the right audience at the right time. 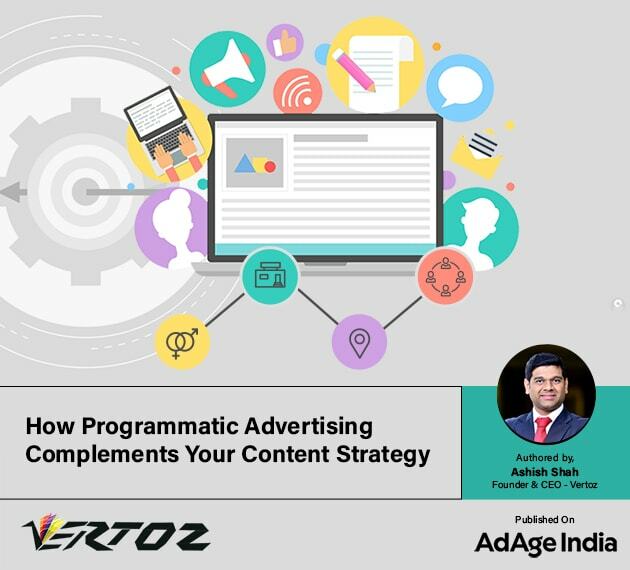 Through programmatic advertising, brands can serve content in accordance with the consumers’ preferences, which increases the possibility of the content gaining more traction and going viral, leading to a greater brand awareness. To complement the targeting strategy, programmatic advertising also uses Data Management Platforms (DMPs), which segment data into relevant target groups, help brands cut through the clutter of audiences online. Advertisements are made considering the diversity of audiences, and today precise attention is given to delivering separate personalized ads to various groups of audience, thus, helping them connect with the product and brand more closely. Programmatic techniques like Dynamic Creative Optimization (DCO) enable brands to dynamically retarget their audience. With the help of DCO, the ad creatives can be changed dynamically during run-time depending on the user’s preferences. Other tools of Programmatic, like omnichannel targeting, and technologies like Artificial Intelligence (AI) and Machine Learning (ML) leverage the abundance of data which, in combination, help advertisers to target and retarget their audience. This results in substantial increase in the ROI.